The ISSE Show last week saw tried-and-true manufacturers and techs doing business as usual during these tough economic times. 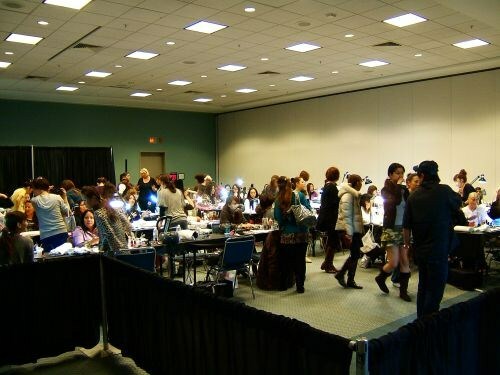 The word around the show was that the first day’s turnout was a little low, but that it picked up on Monday when the salon workers had the day off. 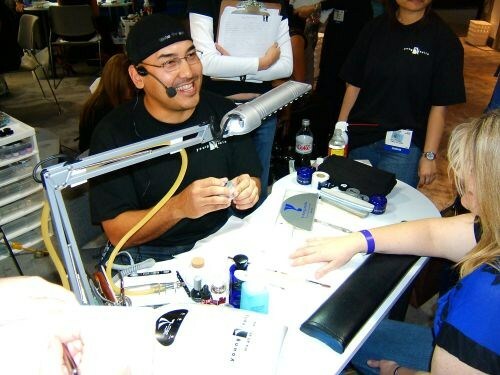 Greg Salo of Young Nails, was as excited as ever to educate techs at the show. 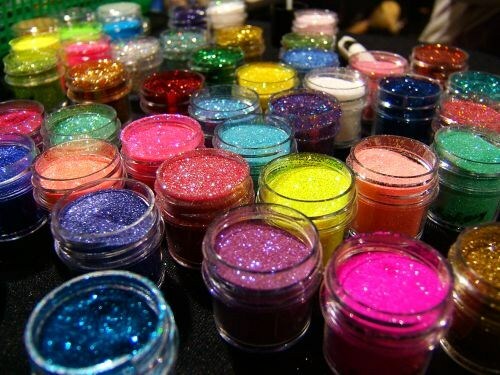 Manager of Nail Labo, Chia Ho showed me some of Nail Labo’s newest products, like the Nail de Dance collection of acrylic powders. 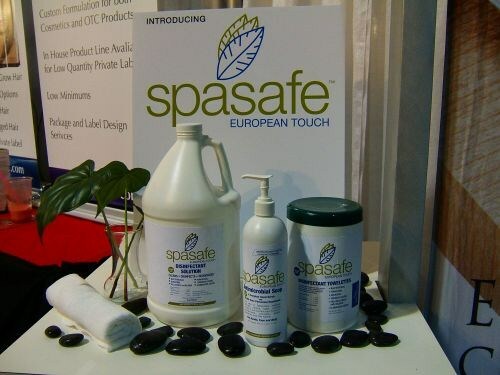 European Touch introduced its new SpaSafe disinfectant line. Jessica Cosmetics showcased its new Botanicals polish collection. 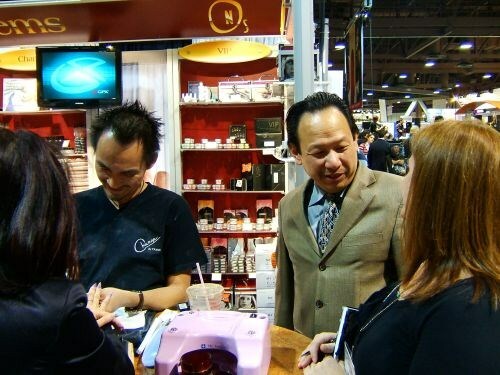 Trang Nguyen of Odyssey Nail Systems, and Newton Luu of LeChat, share some industry stories with our editor Hannah Lee. International educator for LeChat, Yvette Holt (foreground), performs a demo at the LeChat booth. 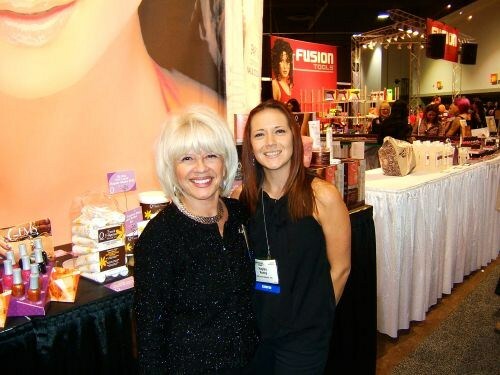 Arica Carpenter of Cuccio Naturalé was there to display Cuccio’s newest products of scrubs and lotions. 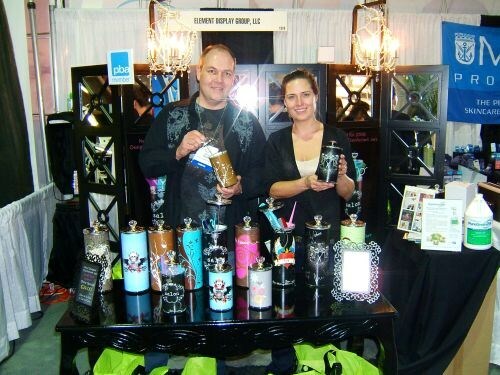 Chris Rozek and Marick Tedesco of My Element Style showed off their new salon disinfectant jars which have become the latest rage in salons. Christine Vargas was there to educate and do demos for Backscratchers. Marketing specialist Hayley Kenny (right), and customer care specialist Luz Jerman, worked the Orly and SpaRitual booth. A.K. 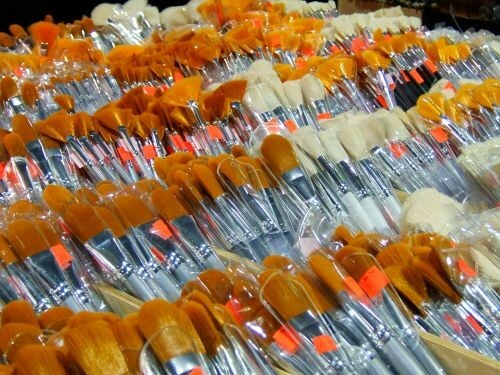 Brushes prominently displayed its wide range of makeup brushes at the show. 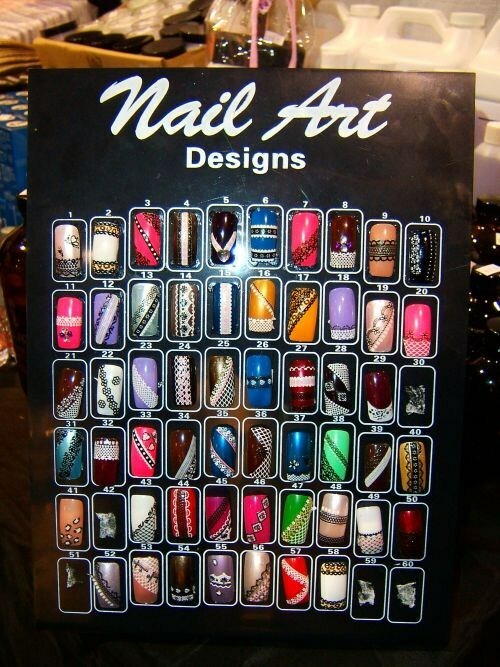 Frida Nails had a colorful booth with designed nail tips and nail art accessories. 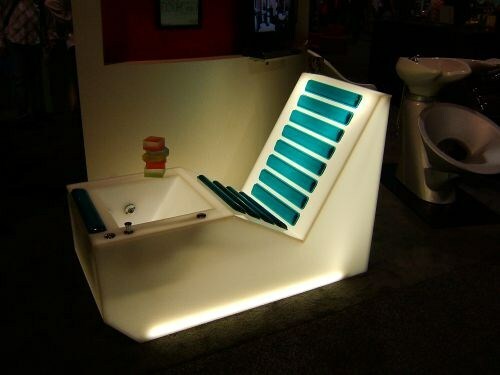 This futuristic-looking pedicure throne, from Design X Manufacturing, grabbed the attention of anyone who walked by it at the show. 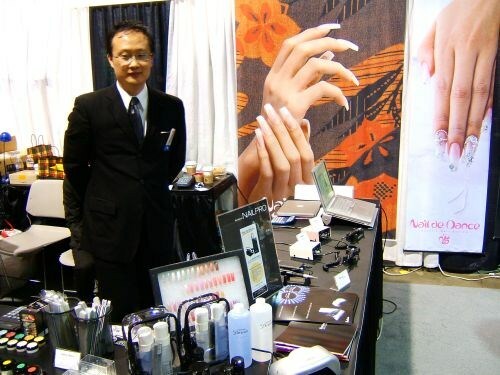 Nail techs from around the world competed in the nail competitions. 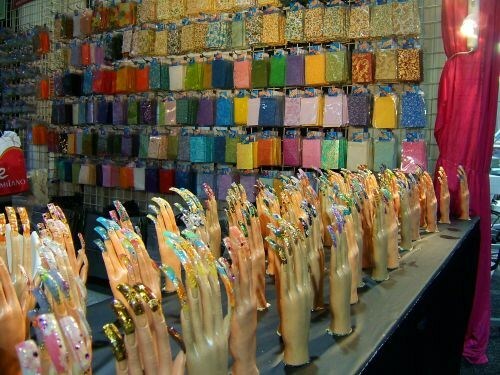 Hollywood Nail Supply displayed some of the creative works that can be made with its products. 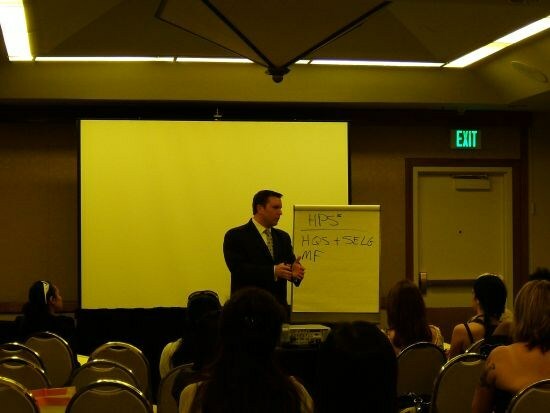 Guest speaker Kevin Kowalke taught a class on how salon owners can better market and advertise their services, even during the tough economy. 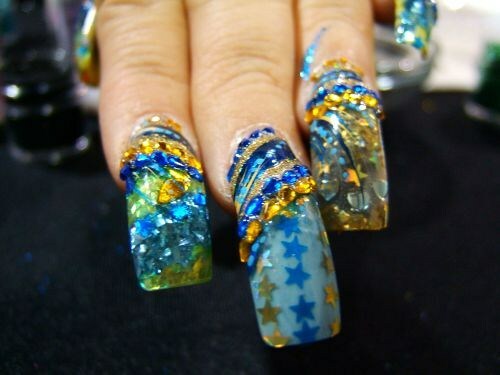 Educator Rita Padilla of It’s So Easy flashed her trademark long and decorated nails, made with It’s So Easy’s glitter products.